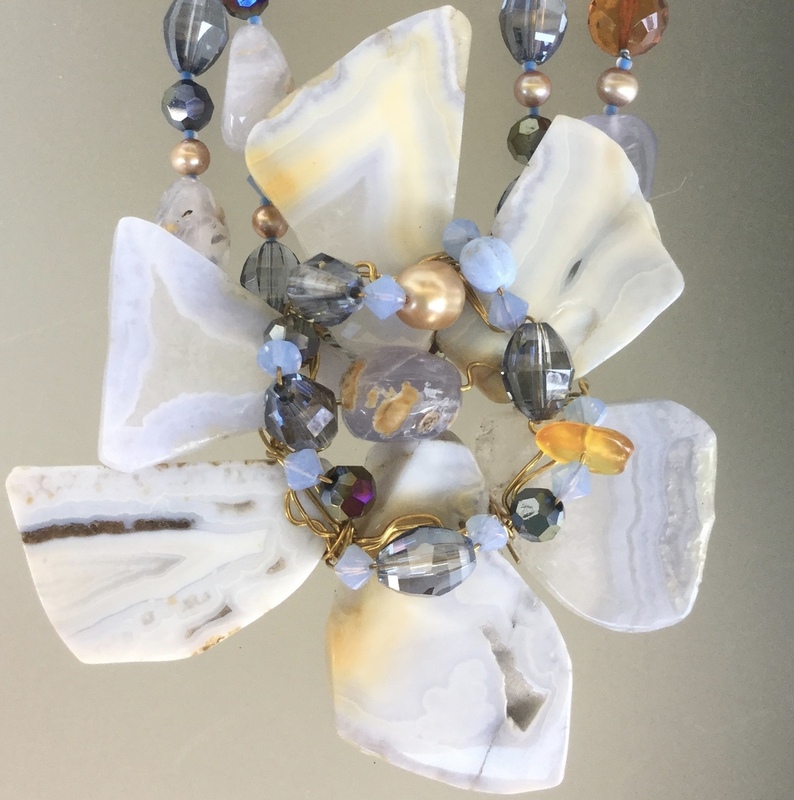 Periwinkle Collection is a mishmash of designs. The name Periwinkle implies a beautiful color, but also an Old World charm. 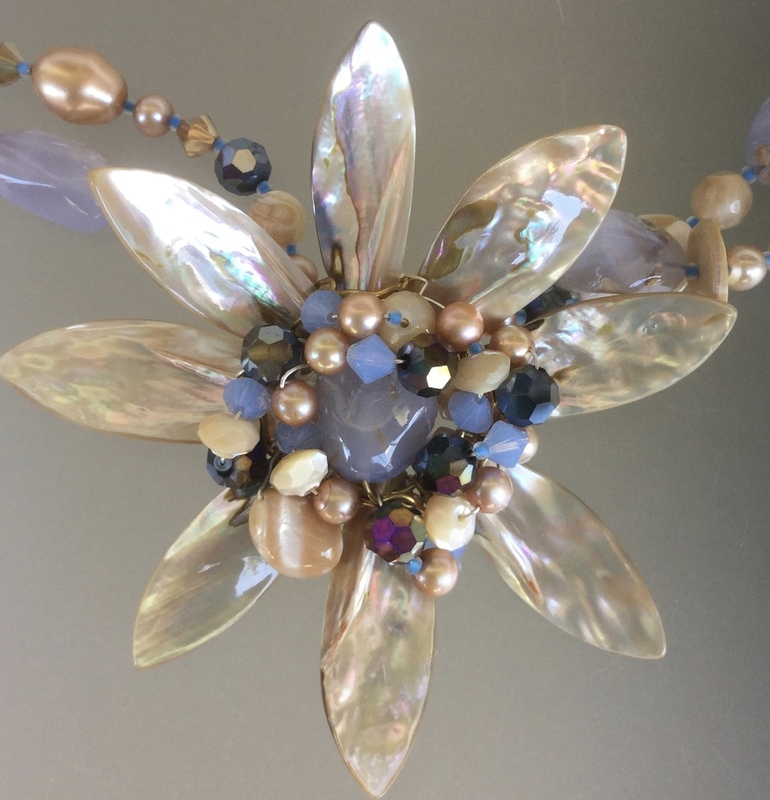 I've not only added a vintage look to the Flower Lei and the Chatelaine design, but also added one of my favorite botantical pieces, the Opihi shell. 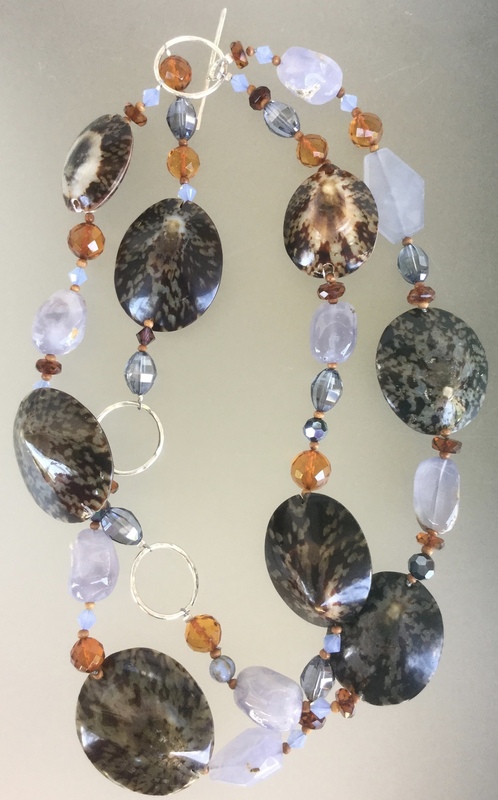 The Opihi shell is beautiful, and has a slight effervesence of either the brown or blue color. For the Periwinkle collection, I've add the blue Opihi, and it's quite striking. To finish out the concept of Old World charm, I've included a touch of faceted Baltic Amber to give the design a rich depth of character.